As an individual, what do you do to have a successful career? Do you even have a dream of being successful? Are you even thinking about how you are going to achieve your dreams and be successful in the future? If you are not doing anything to reach the top of your career, then something is probably missing in your life. And that is an inspiration, which does not need to be always a person, but words that will make you bring out your best. Do you know what you need? If you have not heard about the 10x Growth Con, then you need to learn about it because this is what you need. Here, you can meet a lot of people from different walks of life. You will also hear different success stories as well as their struggles. You might be thinking about this as a simple conference. But, if you are going to open your heart and mind on the road to success, then this is more than just a conference. It is indeed an eye opener that will help you find your way towards the right path. What’s with the 10x Growth Conference? The 10x Growth Conference is actually a business conference, where there are about 10,000 people coming from different countries, attending the said event. You do not need to be an entrepreneur or a businessman to attend this conference. All you need to be is an individual, who has a dream about being successful. At this conference, you will have the chance to listen to world-class speakers, businessmen and entrepreneurs from various industries. This is indeed a rare opportunity because all those successful individuals will come together to share the most valuable insights for you to hear. Listening to their inspirational words would make you feel like you were there as a witness as they rose to success and as they took the road to fulfilling their dreams. Attending the 10x Growth Conference is indeed a great opportunity because of Grant Cardone, who was the person behind the said event. 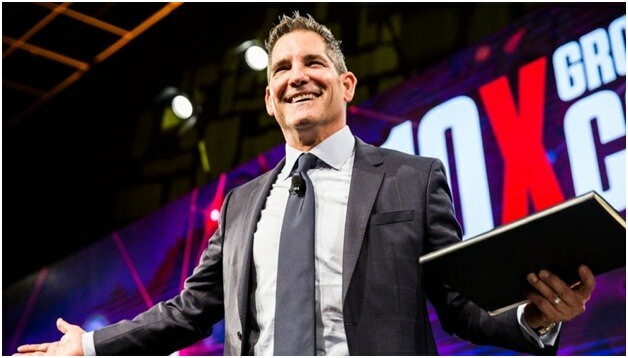 Do you know that Grant Cardone is a business sales optimization consultant, who helped many companies improved their sales as well as their operations? Some of these companies were Toyota, Ford, Hertz, Google, Sprint and Aflac. So, can you see now how lucky those people, who can have the chance to get to the conference? If you would like to know more about the event, then you may follow this link to their social media page. Why will you take the 10x Growth Conference as a challenge? First of all, you know that people, who are attending this event have the same goals with you and that is to become successful in their careers. You are also aware that the speakers have gone through a lot of ups and downs just to be where there are right now. They are already on the top of their success and you need to be just like them. What I mean is that you do not really need to have as much wealth as they have, but we are talking about how you can also reach your dreams no matter how many times you fall or no matter how much struggle you have to face. Every individual has sacrifices to deal with and you have to make sure that these must take you to success. You must learn how to take things smoothly, no matter how tough life is. It does not matter how long the journey is. What is important is for you to learn how to deal with the challenges of life. You can all learn that through the 10x Growth Conference.